The population of rats in Melbourne has reached record numbers over the past few years. The scary part is that they’ve grown considerably in size and can create alarming situations causing extensive damage to structure and property. They have a tendency of invading into different structures and gnaw and cut anything to create secure nests. 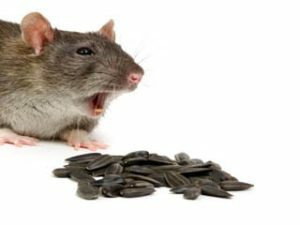 So, if you spot even a single rat around your property, contact the pest control Melbourne team at Enviro Safe Pest Control. Our rodent pest control program is thorough and is designed to exterminate the infestation the first time around. In Australia, varied species of rats have been identified. Apart from damaging property, they carry dangerous diseases like salmonella, tuberculosis, leptospirosis, and tapeworms. The rats also introduce other pests like mites, fleas, and ticks within the premises. They can squeeze into small crevices to make their way into your home. With the ability to produce up to 200 young ones in four months, they quickly grow in numbers as well. What Does Our Rat Control Program Include? Inspection: Our pest control team will inspect your house thoroughly to find the possible entry points and harbourage sites. The detailed survey helps us to determine the level of infestation and what measures should be taken. Bait Stations: We place bait systems filled with rodenticides around the perimeter of your home to prevent the rats from entering your property. These bait stations are placed at hard-to-reach places, ensuring that your children or pets wouldn’t be able to access them. Prevention: Our major objective is to make your building impervious to rodents. So, we will seal any holes and gaps, blocking access points to your home. Our rat control method is a proven one that your home will be free from rats and mice in no time. Whether you are looking for an effective rodent pest control program for your home or business, call us today at 1300 997 272 and schedule an appointment.